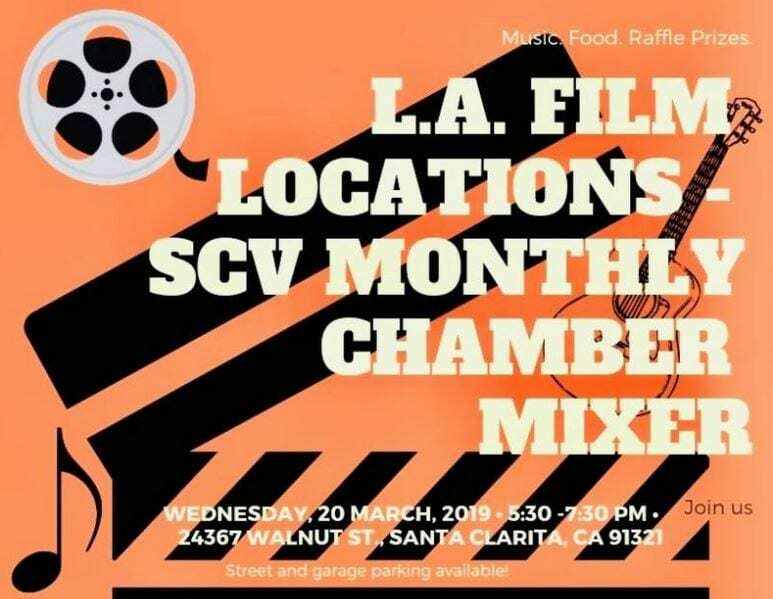 The Santa Clarita Valley Chamber of Commerce’s next Business After Hours mixer is set for L.A. Film Locations in Newhall on Wednesday, March 20, from 5:50 p.m. to 7:30 p.m. There will be music, food and raffle prizes. L.A. Film Locations’ address is 24367 Walnut Street, Newhall 91321.